I don't have a smart phone as a phone, so I am limited to playing wherever I can find public wifi (Starbucks, public libraries, Target, Westfield malls, hotels, convention centers, etc.) I get the most steps at Target and the mall, since they are fairly large areas with uninterrupted wifi. It does take me quite a bit longer to hatch eggs, though it has the benefit of not tempting me to pull out my phone to play everywhere I go. Vulpix is my second favorite Pokémon after class Eevee. I. Am. JELLY as hell. His friend number is 7356 6608 1715. Hmm, it says that code isn't valid. My husband swiped some of your codes as friends, but here is his code for anyone else who is interested. Thank you to whomever in Winnipeg! Ooh! And thank you Arvada, Colorado! These are pretty cool! 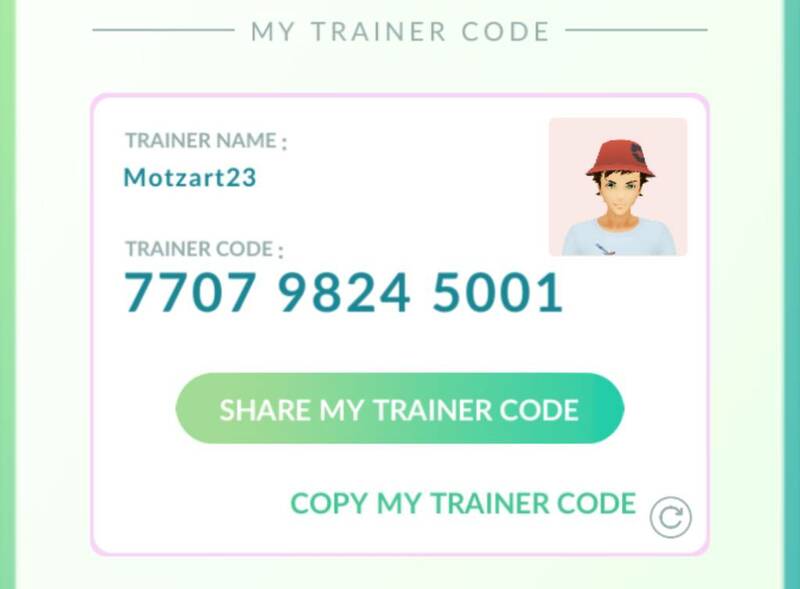 I will do my best to gift daily! 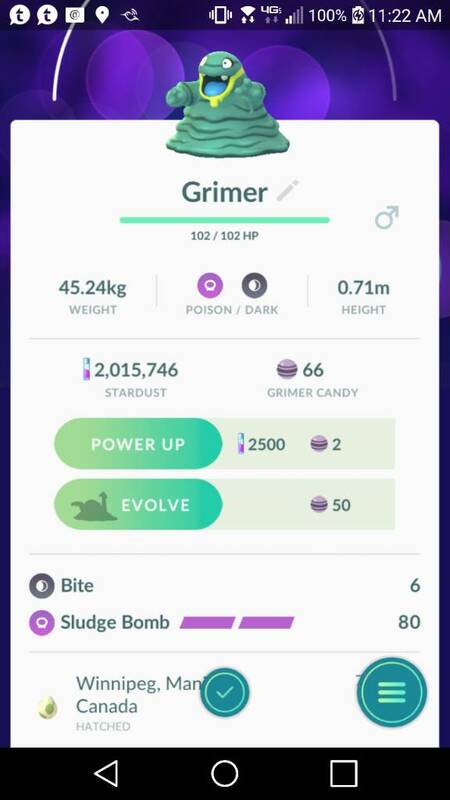 Thanks to the folks in Palm Harbor, FL and Anacortes, WA who both gave me my first Grimer at basically the same time. 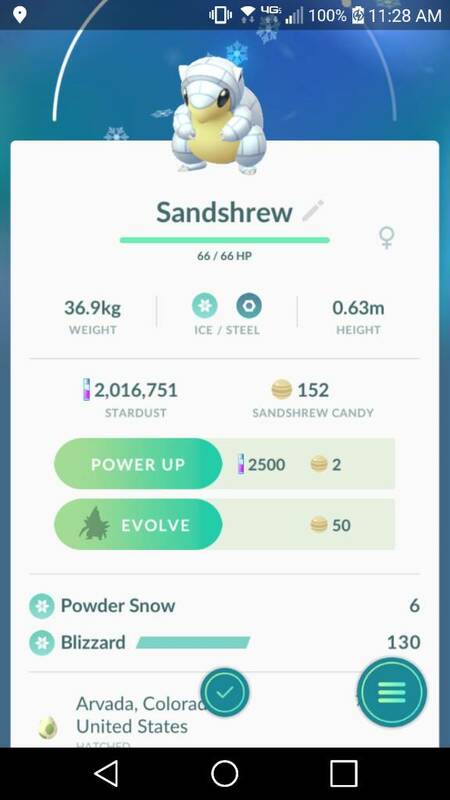 And the Baylake, FL and Denver, CO who gave me those neat white Sandshrews that I’ve already been able to evolve into my new white and blue Sanslash. Hoping that some Miami/Dania Beach eggs will give y’all good Pokémon! krand1276 and Ajk like this. TammyH and krand1276 like this. Lol. What the heck is that? It's so cool! Is that what happens when you evolve it? I just assumed they stayed green. I need to evolve mine. I think the colors on it move as well, if I remember correctly. It's kind of neat how the pokemon you get from friend eggs have the different colors/alternate versions of what you get from just catching them. 2) Does anyone still need/want friends? 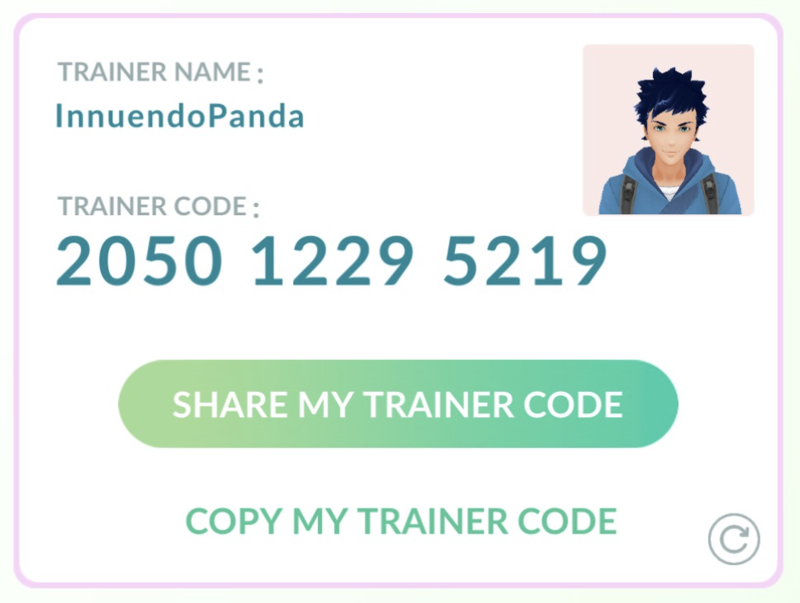 My nephew only has a couple (my husband and I) and I would be happy to pass along your code to him if you need friends. I don't want to inundate anyone who has more friends than they can handle. He can add me and Mom if he wants. Yes! Exactly what happened to me! That's why I started trying to track down who the DPF members were. I accepted a bunch before I realized what was going on. And yes, some of the names are VERY inappropriate. Also for me, I'm happy to friend you if you're a member here (or your family member), but please send me a PM so I can verify you're part of DPF.